Record label Caedmon Audio specialized in spoken-word recordings, pairing great literary works with great actors. They got James Mason to read the poetry of Robert Browning, multi-Oscar winner Walter Brennan to read the works of Mark Twain and Sir Laurence Olivier to read Winston Churchill. But there were a couple releases, later compiled into one glorious CD set, that is so head-slappingly perfect that it requires special attention: Basil Rathbone and Vincent Price read the works of Edgar Allan Poe over the course of 5 hours. Rathbone was, of course, a South African-born Shakespearean actor who is most famous for playing Sherlock Holmes in a string of films (watch one here) and radio plays, though he was also a veteran star of low-budget horror films like The Black Sheep and Tales of Terror. Vincent Price was, well, Vincent Price – the iconic cackling villain in dozens of horror flicks including Roger Corman’s campy cinematic adaptations of Poe – The House of Usher, The Raven and The Masque of the Red Death. The Caedmon recordings, which are now available on Spotify (download the software here) and can be heard below, are pretty much Poe’s greatest hits – from "The Tell-Tale Heart" to "The Pit and Pendulum." Poe’s gothic gloominess pairs brilliantly with Rathbone and Price’s sinister baritone. So get into your favorite smoking jacket, get a fire started, pour yourself a stiff glass of absinthe, set aside a good block of time, and have a listen. 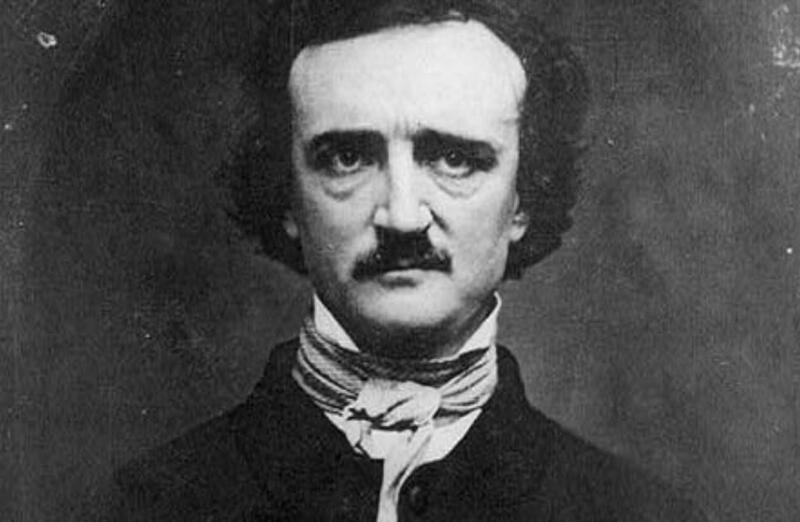 Note: Looking for free, professionally-read audio books from Audible.com, including works by Edgar Allan Poe? Here’s a great, no-strings-attached deal. If you start a 30 day free trial with Audible.com, you can download two free audio books of your choice. Get more details on the offer here. Basil Rathbone reading “The Pit and the Pendulum” is great. You can also purchase the collection on Amazon. If you have a Prime membership, the shipping is free. You need to have Spotify to hear them. There’s a link to the software above, as well as to the recordings. Somehow, Spotify being promoted by a site calling itself “Open Culture” feels dirty. Oh, Basil Rathbone is sublime reading the Telltale Heart. An absolute master of inflection enunciation pronunciation timbre tone projection–sheer eloquence. I wish they used some audio compression and decent mastering. Feeble audio quality ruins the otherwise great narration.